CLEVELAND, Sporting Alert — Golden State Warriors are travelling at record paced towards NBA history and the body language of the Cleveland Cavaliers players say it all. The Cavs were well on their way to win Game 3 in the NBA Finals and cut the deficit to 2-1 late Wednesday night but failed to closeout the contest, losing 118-113 and now trail 3-0 in the seven-game-series. “It sets us up for hopefully a great night on Friday,” Warriors guard Stephen Curry said. LeBron James and Co. had a six-point lead with a little over three minutes to play but went 0-for-8 during that period and couldn’t get stops at Quicken Loans Arena. At the same time, the Warriors closed the game on an 11-0 run to win their 15th straight game this postseason to remain on course to sweep the defending champions. Kevin Durant led Golden State with 31 points, including 14 in the fourth quarter to go with eight rebounds. Klay Thompson had 30 points and six boards and Curry finished with 26 points, 13 rebounds and six assists for the Warriors, who survived committing 18 turnovers for 22 Cleveland points. “K.D. made some huge plays down the stretch,” Warriors coach Steve Kerr said. “I thought Klay’s defense on Kyrie [Irving] was amazing. “Overall, it was just an incredibly tough, resilient performance. It wasn’t our smartest game that we have played all year, but it was maybe our toughest in terms of our ability to just hang in there. LeBron James paced the Cavaliers with 39 points, 11 rebounds and nine assists and Irving added 38 points and six boards. JR Smith chipped in with 16 points on 5-for-10 shooting, but no other Cleveland player scored in double-digits for the Cavs, who trailed 67-61 at halftime. It was also another unproductive outing from Tristan Thompson, who failed to score, while Kevin Love went 1-for-9 for just nine points with 13 rebounds and six steals. Golden State is now one win away from going undefeated for the entire NBA playoffs and claimed a historic NBA title. The Western Conference champions can finish off the series on Friday night in Game 4, but Durant isn’t expecting it to be easy. 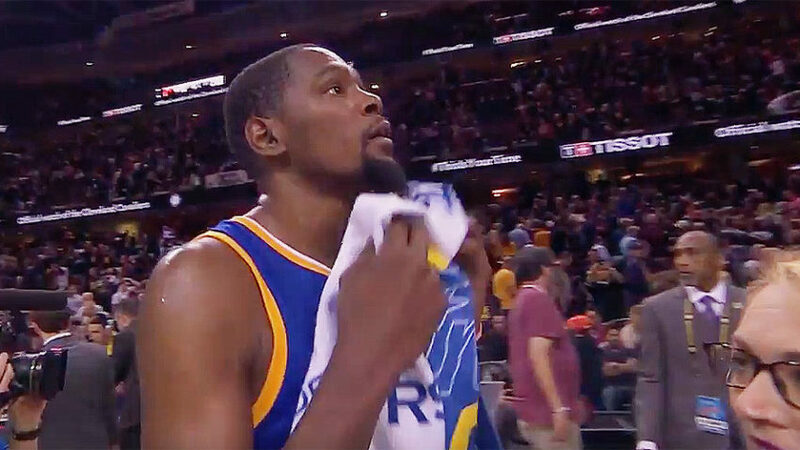 “It’s not done,” Durant said. “Closeout game is always the toughest. We have to be even better in Game 4 if we want to take this. 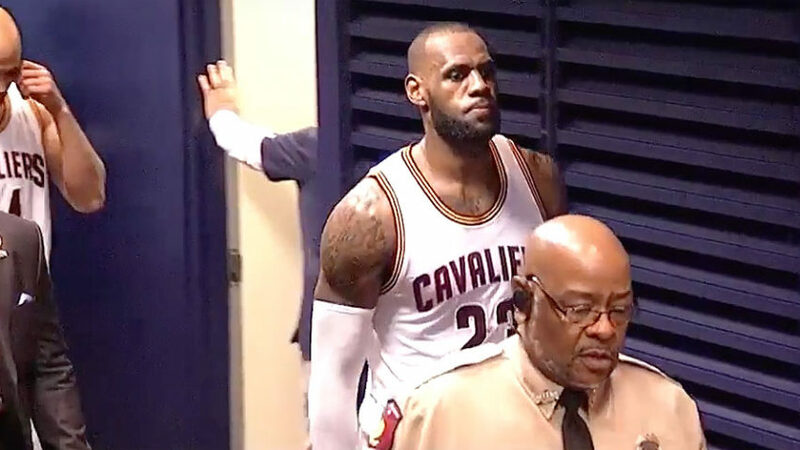 A dejected James, who walked back to the locker room with his head held down, seems to have given up. “Even when you’re playing well, you got to play like A-plus-plus, because they’re going to make runs and they’re going to make shots and they got guys that’s going to make plays,” James said.